Management at SJ Cook & Sons were looking to carry out a refurbishment to their showroom on Station Road, Kingswood. 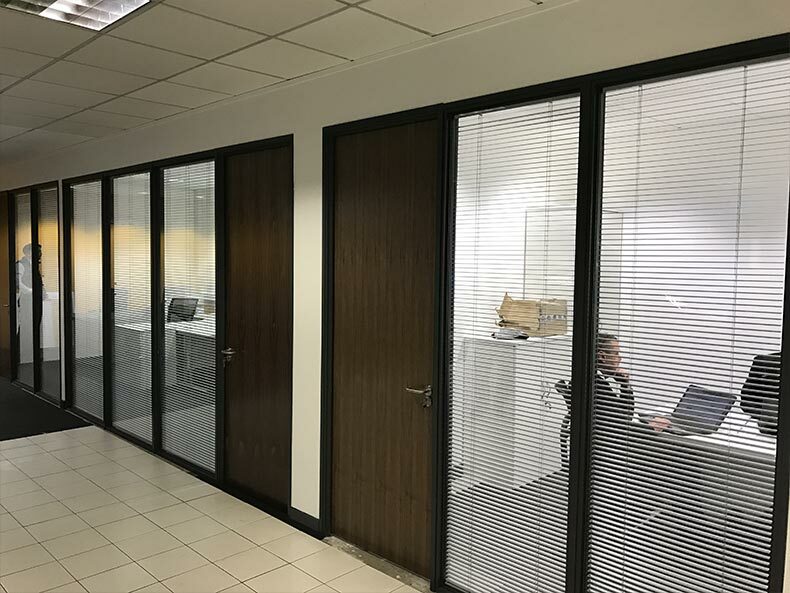 As part of the work, management wanted to remove the existing Partitioning system which was approximately 10 years old and replace it with modern, full height Glazed Partitioning. Avent were successful in tendering the project and planned works around other trades and SJ Cook & Sons timescales. 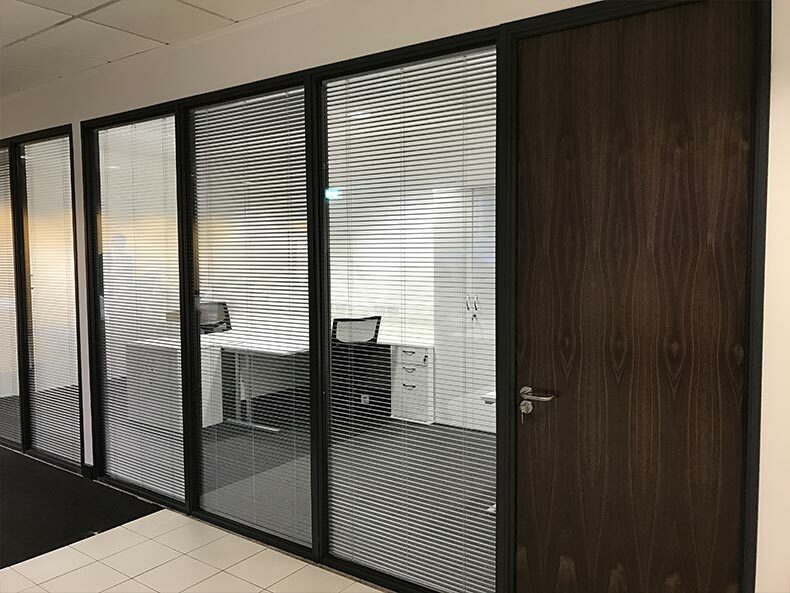 Modern Offices for staff and customers. 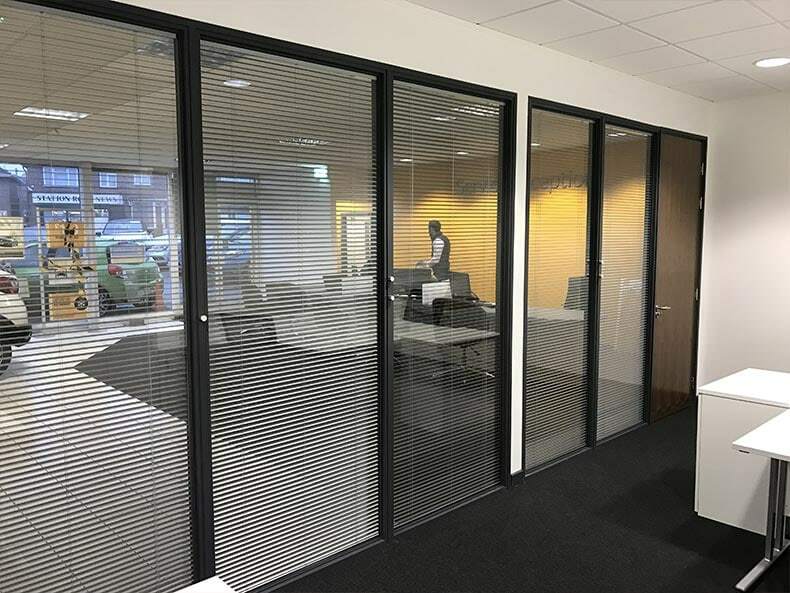 Bespoke Partitioning design to car manufacturer Renault’s specification. Improvement to customers perception of SJ Cook & Son. 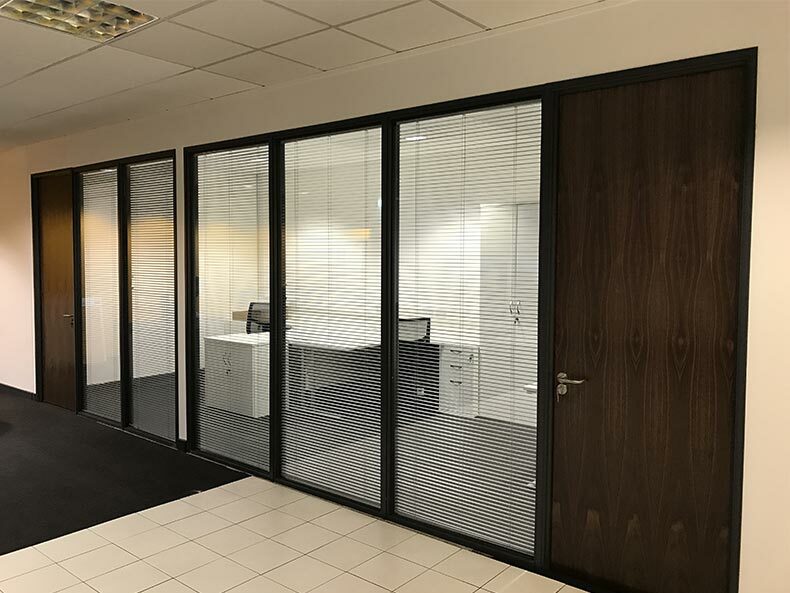 Installation of Office Partitioning to meet Renault’s specification. Aluminium sprayed to specific grey RAL colour. 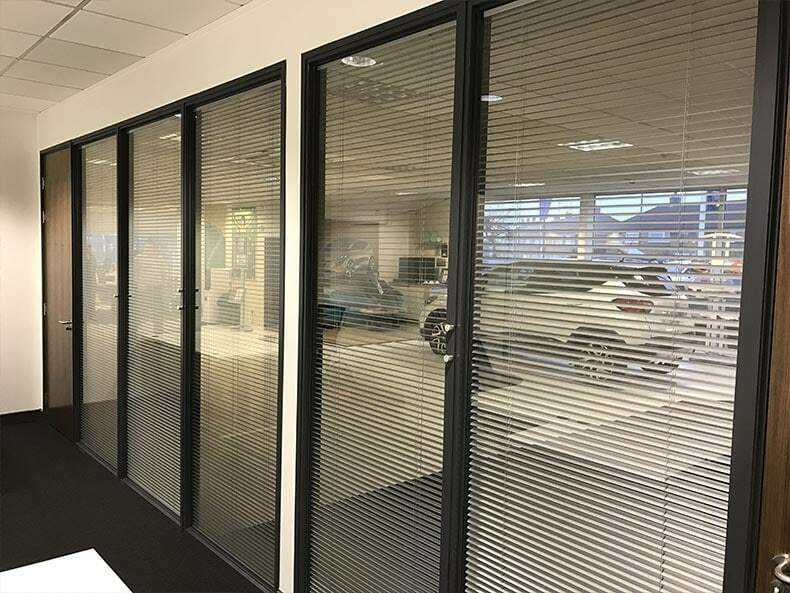 Office Refurbishment took place within functioning car showroom. 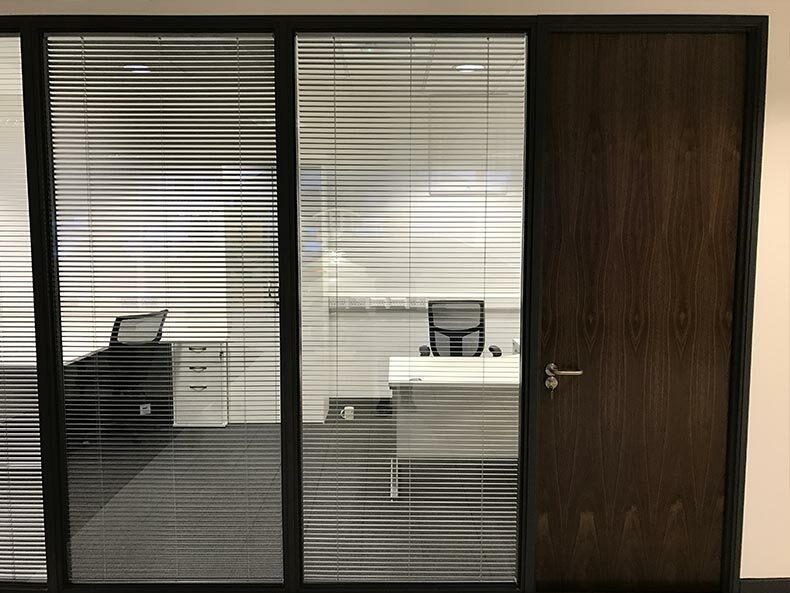 Integral blinds installed within glass. Avent completed work on time to schedule, working in with other trades. The Office area of the SJ Cook & Sons showroom had been transformed! The refurbishment had been a huge success and had provided the showroom with a fresh look. Staff now had a great working area that was both functional to their needs but also pleasing to the eye. 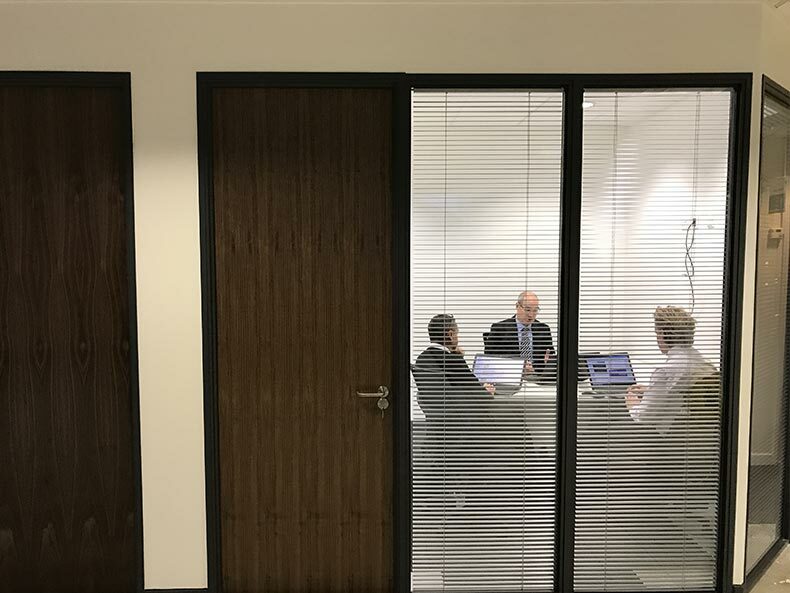 The refurbishment also gave the right impression to customers coming into the car showroom which was one of the main objectives from the project. SJ Cook & Sons are part of the Carco Group who are one of biggest car dealership businesses in Bristol. With multiple dealership sites across the city and several service centres, they truly are an established Bristol Business.